My son Zach bounded off the school bus waving a party invitation as if it were a Golden Ticket to Willy Wonka’s Chocolate Factory. “I’m going to Matthew’s birthday party!” my then-ten-year-old yelled, bouncing around the yard, before he crashed through the door into the house, hollering about what present we should buy. Having a significant intellectual delay and Fetal Alcohol Spectrum Disorder (FASD), Zach could be a handful—sometimes having meltdowns, wandering off or being triggered by seemingly small things. Invitations to other children’s houses were few and far between. It may have been a small gesture on the part of the inviting family, but for a child who struggled to be like his peers, being invited—being wanted—at a party, was a big deal. When I adopted four siblings, I did not know that by the end of the first year, we’d find ourselves in a tangle of diagnoses: developmental delays, FASD, and sensory processing issues. Like most parents of kids with neurologically atypical kids, the single thing that worried me way more than them meeting milestones and good grades was whether they would manage to make and keep friends. In the early days of their diagnoses, I made a lot of assumptions about what my kids’ social life would be like, and I worried they’d be left out of things like birthday parties—something that’s heartbreakingly common for kids with special needs. To a child with exceptionalities, invitations equal belonging. But parents with neurotypical kids may feel afraid to invite that kid in the class—the one who is sometimes disruptive, who acts a little younger, who seems out of sync. Some parents may even feel indignant: Why should I invite thatkid? But when children are encouraged to include classmates with challenges, they learn to see the person behind the cognitive differences. They learn the importance of connection and compassion. In other words, inclusive parties aren’t just good for my kid—they’re good for yours. To my relief, the families in our rural community have time and again invited my children to parties—and helped them to find their groove in what can be an overwhelming experience. It means so much to us. And all it takes is a little creative thinking and sensitivity. When my youngest daughter, Livvy, was invited at age five to a birthday party for the first time, she was ecstatic. She has sensory processing issues, as well as developmental trauma disorder, which at the time created a lot of separation anxiety—but she really wanted to go. On the day of the party, she had me put ribbons in her hair, and she proudly marched up to her friend’s house clutching a gift she’d wrapped herself. Yet, as we stood on the front step and the door swung open, she balked like a skittish horse, suddenly panicked by the sound of stampeding children running through the house. “I can’t stay here, Mommy,” she whispered, backing away. I wasn’t sure what to do, and I stood there helpless as my daughter refused to budge. I tried to encourage her, telling her how much fun she’d have, but she wouldn’t move and I eventually apologized to the hosts and explained we’d just have to leave. To their credit, the birthday girl’s parents instinctively rose to the occasion and invited me to be part of the event. A total stranger, I was brought into the kitchen and given the job of handing out pizza. With her mother in sight, Livvy felt secure to linger in this quiet space, until she adjusted to the nearby party chaos. Eventually one of her classmates found her, grabbed her by the hand and pulled her into the fray. To my surprise, that was the last I saw of her until it was time for loot bags. It hadn’t occurred to me to discuss my daughter’s challenges with the host family ahead of time, but since that day, I’ve preemptively reached out to other parents and been honest with them about my kids’ limitations. It’s not necessary to give a full medical run-down of your kid’s diagnoses. Simply explaining what she might find difficult and how to help her cope is enough. For example, if Zach got overstimulated he often wandered off or acted out. After I discussed this with the family who invited him to his first party, they offered him a quiet space in the basement with video games for when things upstairs got rowdy. On the day, spending half an hour in this den, mid-party, was enough to renew him, and he was able to re-emerge, feeling calm and in control, to join the other kids for cake. 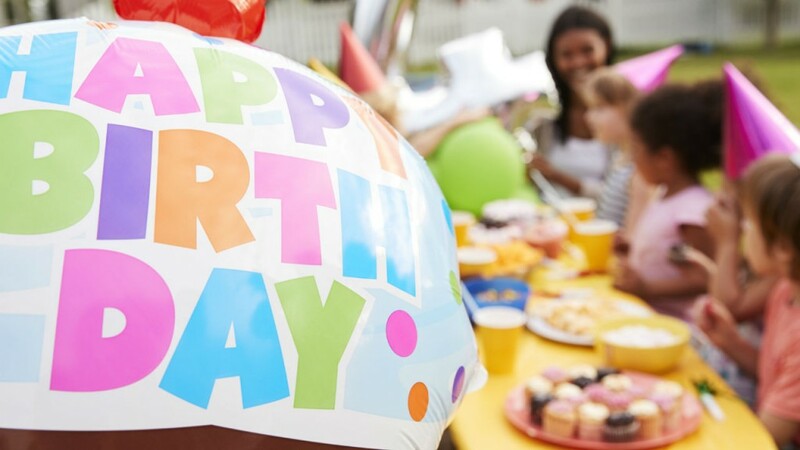 Those parents considering inviting a child with special needs to their kid’s party shouldn’t be shy asking parents about the child’s specific situation and how best to support him. It often takes just very small tweaks to make a party inclusive. Occasionally, the type of party simply might not seem like the right fit for a kid with exceptionalities. My daughter Sam, who has sensory sensitivities, was invited to a laser tag party when she was twelve, but she didn’t want to go because of the noise and lights. After we talked, the hosting parents offered Sam the chance to come anyway and help set up the party room then take photographs of the cake cutting and gift unwrapping. She could still be a part of things but didn’t need to deal with all the chaos of laser tag. On top of that, the other kids didn’t need to know about her issues—all they saw was that Sam had an important job to do. I’m grateful that all my kids have wonderful memories of parties with friends that they’ll keep for a lifetime. That’s a part of childhood all kids deserve. Five years later, Zach still talks about that first birthday party he was invited to. He’ll randomly recall individual moments: wrestling with the other boys on a trampoline or running around together with swords. We feel lucky to live in an inclusive community, and I wish this for every child. It’s down to all of us parents to work together and make it happen. This article was written by Christen Shepherd and published on Today’s Parent. It appeared originally on their website.